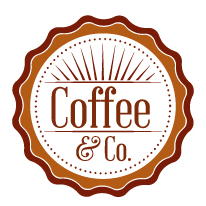 Coffee & Co is a local independent coffee shop run by owner Heather, and her team of helpful staff, providing a range of cakes baked on the premises using ingredients from local suppliers where possible. A coffee shop that looks warm and inviting from the outside, with the lovely aroma of delicious coffee catching your nostrils and inviting you in. A place that will brighten up the cold dark mornings and the early dark nights, and welcome you with a friendly face and a warm cheer. A place where you can be with friends or by yourself without realising that you are on your own. At Coffee & Co we provide a place to relax, away from the stresses of work or a break from your shopping trip. A place to meet friends, customers or clients. It is the ideal stop off place for breakfast, lunch or light tea. Whether you sit in or take it away, or just want to pop in and put your feet up for 5 minutes with a hot chocolate and chill out. Coffee & Co is a place you can trust to be the right place…. The warm and welcoming interior of Coffee & Co was designed by local Dundee architect Jon Frullani in the period of October and November 2015.